Which one is to blame when your DVD won't play on Mac or TV? DVD disc itself, your reliable DVD drive or DVD player? Calm down to analyze the potential reasons first and then suit the remedy to the case. Keep in mind that don't aimlessly try varied solutions to solve this "DVD not playing" problem, or your much precious time will be wasted. Here we proceed to render specific solutions to specific cases mainly based on three dimensions: DVD disc itself, DVD drive and DVD player. You can just pick up the most relevant solutions to solve DVD movies won't play problem, needless to try every solution one by one. Well, let's get a head start on DVD playing troubleshooting. $79 SuperDrive Problematic? DVD Regin Code Issue? Use MacX DVD Ripper Pro - No.1 speed to rip 99-title DVD, workout DVD, damaged/unplayable DVD, new DRM DVD movies to MP4, MOV, MKV, VOB, MPEG-2, AVI, etc. and convert region code 2 DVD to region code 1 for playback on Mac/TV without using high-priced DVD drive, DVD player & disc. When you insert your DVD disc into your DVD drive, do you notice if your DVD disc is untouched? Did you ever doubt that your DVD disc itself might be the chief culprit to cause "DVD won't play" issue? If DVD disc is responsible for the DVD playback failure, then what causes it? Read on. 1. DVD disc is dirty, scratched or damaged, reason for some Redbox DVD rentals won't play. 2. DVD playing problems may be caused if DVD disc is a non-standard one, e.g., both IFO and BUP files of your DVD disc are missing, the DVD disc is made by yourself with some misconduct, etc. 3. You use a DVD burner for Mac to burn a DVD but end up with DVD playback failure. This problem might result from disk type issue (DVD-VIDEO, DVD-ROM, DVD-R, DVD+R, DVD-RW, DVD+RW, etc. ), DVD burn speed (2X, 4X, 8X, etc. ), bad burn, etc. 1. Dampen a soft cloth to clean your DVD disc. 2. Use a DVD repair software to repair damaged DVD disc. 3. 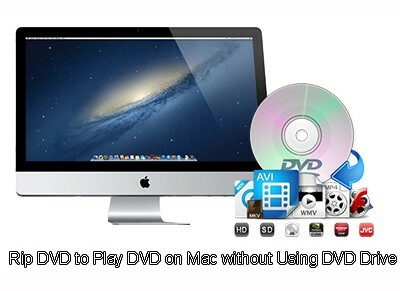 Re-purchase or rent a new DVD disc to play on Mac or TV if the DVD disc can't be repaired. 4. Burn DVD on Mac with a professional yet solid DVD burner. Plus, choose the right disk type based on your specific needs. 5. Convert Region 2 DVD to Region 1 or remove region code from DVD to change region code to region zero with a powerful DVD region code remover. 6. Rip and copy DVD to MP4, MOV, M4V, AVI, MKV, ISO image, MPEG-2 file, VOB, etc. digital formats so as to play DVD content on Mac/TV without using DVD disc. Also see how to copy a DVD on Mac. 1. Your DVD drive is dirty or lacks lubrication, which is especially severe if your DVD drive is placed in a dusty and smoky environment. 2. 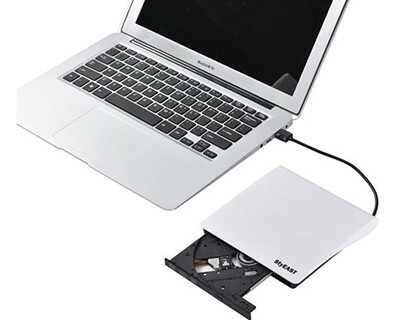 Your external DVD drive for Mac mismatches with your Mac computer, or it get damaged partially or thoroughly. 3. Some external DVD drives can't work after macOS upgrading like SuperDrive not working on Mac after upgrading to El Capitan or macOS Sierra. 4. Mac default player QuickTime supported formats list doesn't include DVD MPEG-2 format, which means if you play DVD in QuickTime, you get failure but nothing. 5. Another popular DVD player for Mac VLC supports DVD disc playback on Mac. Yet, sometimes, VLC won't play DVD on Mac if you accidently delete libdvdcss on Mac or forget to solve the system incompatibility issue after macOS upgrading. 1. Purchase a DVD laser lens cleaner on Amazon or eBay, which will help you clean up the dust and dirt from DVD drive (DVD player). 2. Change a new DVD drive after you make sure the current one is mismatched with your Mac computer or it's severely damaged. 3. Reset the System Management Controller providing DVD won't play only after macOS upgrading. 4. Resort to other top DVD players for Mac like 5KPlayer, KMPlayer, MPlayer, etc. if there is nothing you can do to rescue VLC back to normal. 5. Forget about the DVD drive for Mac if all the above solutions fail. One much simpler way is to play DVD on Mac in digital format without using Mac DVD drive. 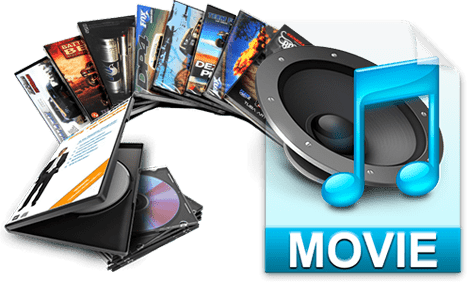 To reach this, try MacX DVD Ripper Pro to remove all the DVD copyright protections and rip Hollywood DVD disc, new 99-title DVD, workout DVD, Beachbody DVD, damaged/unplayable DVD, etc. to MP4, MOV, MKV, VOB, MPEG-2, AVI, FLV, etc. QT, VLC supported digital formats. Thus , you can play any DVD on Mac without spending $79 on Apple USB SuperDrive or other external DVD drive. 1. The cable connection between DVD player and television might be loose. 2. There is something wrong with DVD player settings. 3. The DVD Player's optical reader is working incorrectly (lens which 'reads' the data from DVDs). 4. 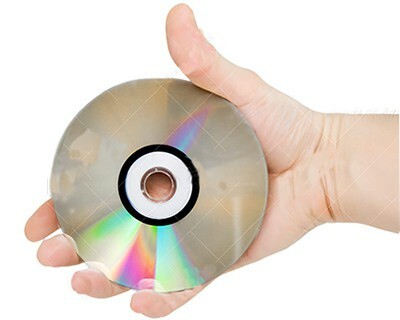 You insert other type of DVD discs into DVD player like Beachbody DVD, workout DVD, yoga DVD, etc. 1. Unplug the cables connecting the DVD player to the TV. Re-plug the cables and make sure the connections are tight. Then play DVD on TV to have a test. 2. Your DVD player settings are seemingly much more complicated than you imagine. Don't adjust the DVD settings at random. Seek help from the expert if you are a layman. 3. 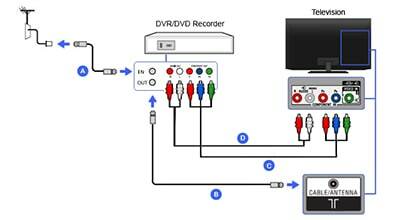 To correct your DVD player's optical reader, follow this guide to solve DVD trays problems. 4. As is known to all, DVD player, different from DVD drive, only supports you to play DVD movie and audio on TV. Suggesting you really wanna play Beachbody workout DVD content, yoga DVD video on HDTV, you need to rip workout DVD on computer first and then stream DVD content to TV for playback. Or you can constantly encounter "Beachbody DVD won't play" issue. DVD Drive Not Working? DVD Player Troublesome? Disc Damaged? MacX DVD Ripper Pro alone can fix all these three problems: rip any DVD (homemade or commercial) to MKV, MP4, MOV, VOB, MPEG-2, AVI, FLV, WMV and more to playback on Mac/PC, HDTV without using external Mac DVD drive, DVD player software & hardware and vulnerable DVD discs. Play DVD from Mac to Apple TV But Screen Turns Grey? Solved!